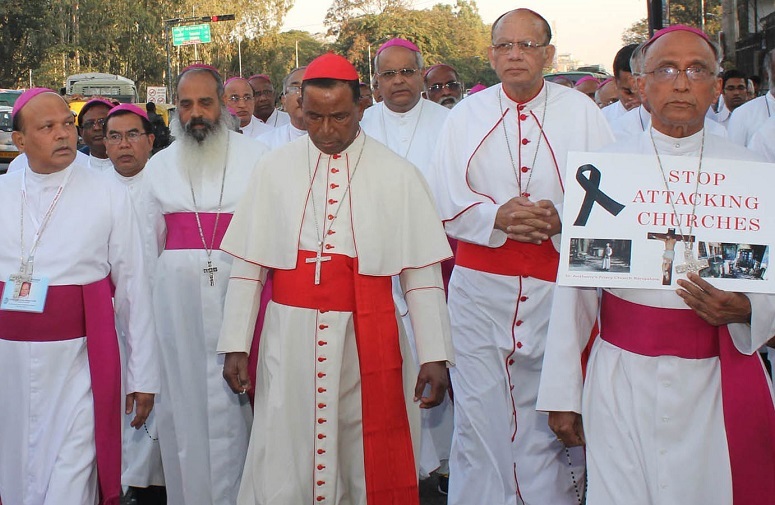 Christian groups and networks in India have rallied behind Archbishop Thomas Macwan of Gandhinagar, capital of Gujarat state in western India, after the federal Election Commission served a notice on the prelate for his pastoral letter ahead of state elections this month. Gujarat is the home state of Prime Minister Narendra Modi. “The secular and democratic fabric of our country is at stake. Human rights are being violated. The constitutional rights are being trampled. Not a single day goes without an attack on our churches, faithful or institutions. There is a growing sense of insecurity among the minorities … poor and so on,” Archbishop Macwan said in his pastoral letter on 21 November. In response, the Election Commission on 25 November served a notice on Archbishop Macwan, asking him why his appeal should not be viewed as a violation of the Model Code of Conduct for the election. The Commission cited the complaint of an organisation, Legal Rights Observatory, for the unprecedented notice – amid Hindu nationalist outfits calling for his arrest. Christians account for just 0.52% of Gujarat’s population of 66 million. The majority of the 330,000 Christians are Catholics. In the letter, Archbishop Macwan also said that prayers had saved Europe during the victory at Lepanto, referring to the battle of 1571, in which the Holy League of Venetian and Spanish empires had defeated the Ottoman Empire in the Gulf of Patras, and how the “protecting hand of our beloved Mother Mary defeated communist governments and dictators in a number of countries”. Samson Christian, an outspoken Christian activist based in Gujarat, told World Watch Monitor “this is the first time the Hindu nationalists are targeting the church leader to polarise the Hindu voters” ahead of the election. 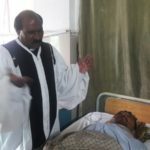 As the news of the Election Commission notice to the archbishop made national headlines, several rounds of rumours came up in Christian chat groups and social media that Archbishop Macwan had been arrested, and there were calls to “pray for him”. 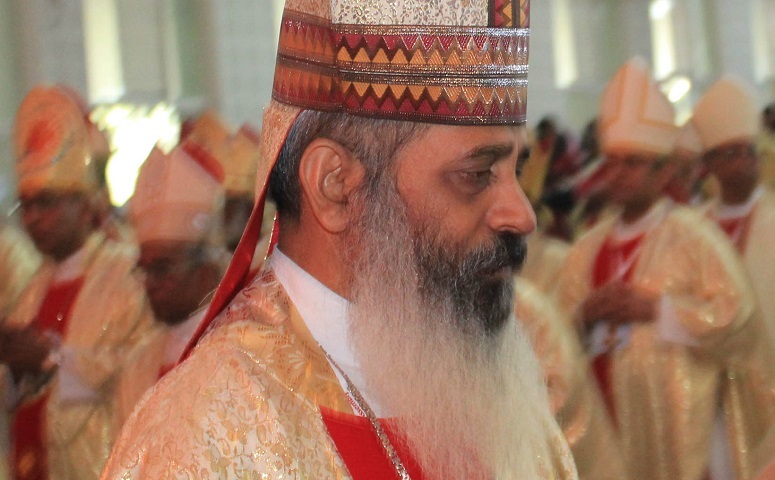 Exasperated over this, Bishop Theodore Masceranhas, secretary general of Catholic Bishops Conference of India, sent out a note on social media tool WhatsApp on 29 November refuting the “blatant false message” of his arrest and declaring that “Archbishop Macwan is fine and attending all his duties peacefully”. “I fully support the concerns raised by Archbishop Thomas Macwan… If every party and every leader can ask his/her followers to vote for a particular person/party, why should that right be denied to the archbishop and for his members?” said Jesuit social activist K. P. George. According to poll forecasts, Modi’s BJP, which has long held sway in Gujarat, is facing its first real challenge in 22 years in the present election. Meanwhile, K. J. Alphons, a Catholic and former bureaucrat who was made the first Christian minister in the Modi cabinet in September, repeated his claim on 28 November, in response to Archbishop Macwan, that “no Christian has been attacked under Modi’s regime” in three and a half years. That claim stands in contrast to documented reports that incidents of attacks on Christian targets have been mounting since Modi’s BJP government assumed office in May 2014.